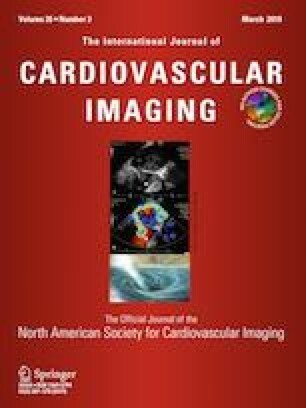 The present study aimed to evaluate the feasibility of low frame rate fluoroscopy during primary percutaneous coronary intervention (PPCI) for patients with acute ST elevation myocardial infarction (STEMI). From January 2016 to December 2017, 165 consecutive patients with STEMI who underwent PPCI were retrospectively divided into two groups: the 7.5-frame group (fluoroscopy at 7.5 frames/s) and the 15-frame group (fluoroscopy at 15 frames/s), according to the frame rate of fluoroscopy used in their treatment. Reduction of radiation and safety of fluoroscopy at 7.5 frames/s were compared by a method of propensity score matching (PSM) with fluoroscopy at 15 frames/s. After PSM, there were 56 patients in each group. There were no differences in patients’ baseline characteristics between two groups. The 7.5-frame protocol resulted in 48.9% reduction of DAP (9917 ± 5543 cGycm2 vs. 14766 ± 7272 cGycm2, P < 0.001) and 61.1% reduction of AK (1209 ± 562 mGy vs. 1948 ± 1105 mGy, P < 0.001) with comparable procedural time (38.1 ± 15.3 min vs. 38.8 ± 17.2 min, P = 0.830), fluoroscopy time (13.0 ± 7.2 min vs. 13.5 ± 8.1 min, P = 0.703) and contrast volume (122.3 ± 39.4 ml vs. 119.3 ± 49.4 ml, P = 0.725) to the 15-frame group. Meanwhile, this new protocol didn’t increase the incidence of contrast-induced nephropathy (23.2% vs. 25.0%, OR = 0.907, 95% CI 0.381–2.157, P = 0.825) and peri-PPCI cumulative adverse events (30.4% vs. 28.6%, OR = 1.090, 95% CI 0.483–2.456, P = 0.836). In conclusion, low frame rate fluoroscopy at 7.5 frames/s is a safe and feasible strategy for reducing radiation during PPCI. This work was supported by a Grant from national natural science foundation of China (NSFC, Grant No. 81670330) and partially by natural science foundation of Fujian Province (NSFF, Grant No. 2016J1545). Fujian Medical University Union Hospital ethics committee approval was obtained. All patients in the present study gave written informed consent. Written informed consent for the screening patients were waived by the hospital ethics committee. All of authors have given their consent for publication.